Free online browser-based XML editor. Just paste your XML and you'll be able to view and edit it in your browser. There are no ads, popups or nonsense, just an awesome web-based XML editor. Load XML, edit XML. Created by developers for developers. Preview Invisible Characters Preview tabs and newlines. Add Line Numbers Adds line numbers before every line. Preview Matching Brackets Show pairs of matching brackets. Make Active Line Visible Change background of current line. Xml editor tool What is a xml editor? 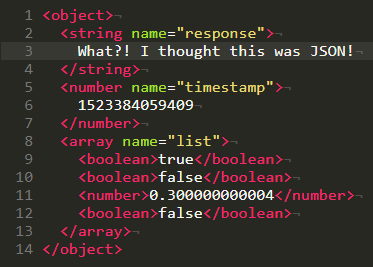 This example loads a valid, but weird-looking XML document in XML editor so you can try it out. 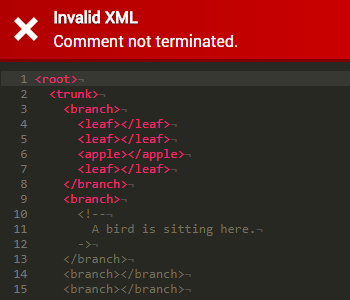 This example loads an invalid XML file with an invalid XML comment. This makes the editor throw an error.